After Colin Kaepernick was once again passed up in favor of Jay Cutler, here’s why the Miami Dolphins should’ve signed the former 49ers quarterback. Staunch defenders of Colin Kaepernick probably saw the Jay Cutler to Miami news and took it as yet another sign of him being blackballed. 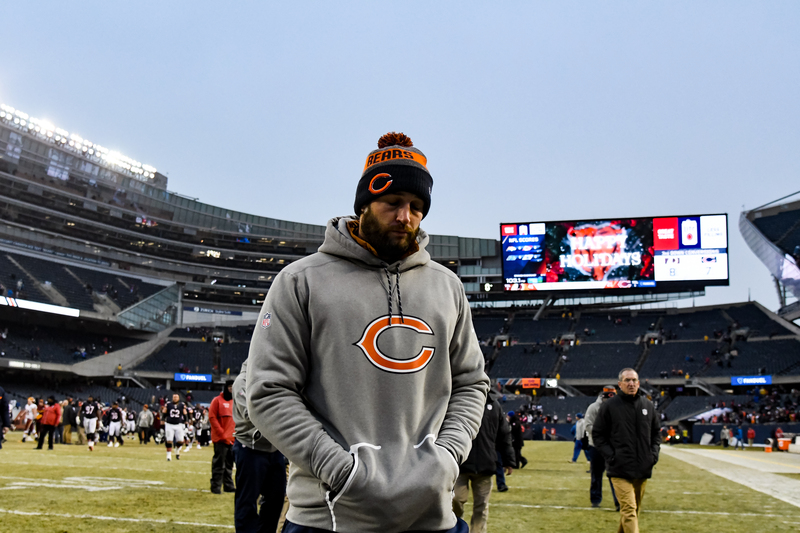 By signing Cutler, the Miami Dolphins are essentially saying they’d rather have a retired quarterback who started all of five games last year, came off a torn labrum and is five years older than Kaepernick. For many NFL owners, they may regard signing Kaepernick as a PR nightmare. But it would be especially bad for Stephen Ross since he stirred up a lot of controversy in Miami last year. For those who don’t remember, Kaepernick wore a Fidel Castro shirt during his first press conference after he started kneeling. 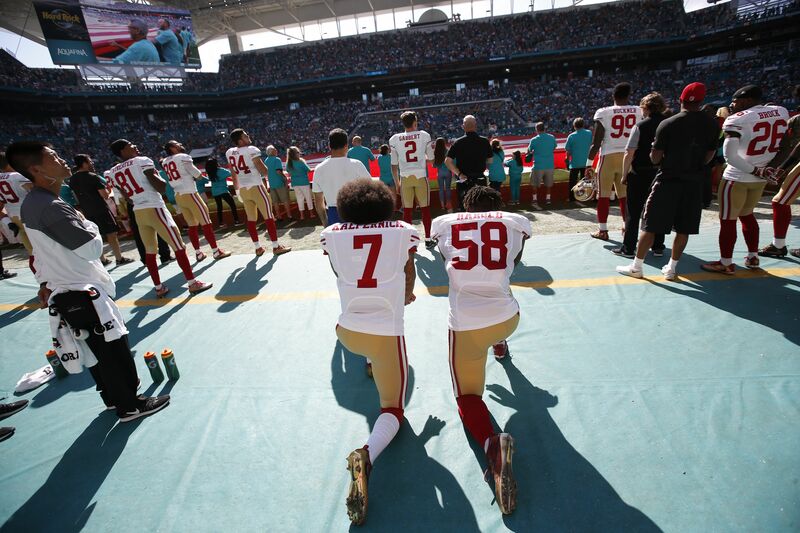 A Miami Herald columnist wrote a scathing article about it, calling him a hypocrite, while Kaepernick himself was subject to massive boos when he played in Miami. Looking back, it’s not surprising that they steered clear, but off-field concerns notwithstanding, he would’ve been a perfect replacement for Ryan Tannehill. Here’s why the Dolphins made the wrong decision by signing Jay Cutler instead of Kaepernick. Age is a big factor in the difference between Kaepernick and Cutler, but so is their injury history. Throughout his career, Cutler has had far from a clean bill of health. He’s only played a full 16 games three times and from 2011 onwards, has been plagued by various injuries. He’s suffered a broken thumb, a concussion, a torn groin muscle and most recently a torn labrum. Despite Kaepernick’s risky style of play, he hasn’t had an extensive history of injuries. He was diagnosed with a left shoulder injury in 2015, but that may have been a convenient excuse by Jim Tomsula to shut him down for the season. And he showed no ill effects of that injury the following season when he played every game he was called on to start. Considering that Cutler hasn’t stepped onto the football field in almost a year, and will have limited time to learn Adam Gase’s scheme, there’s a good chance he may re-aggravate whatever injury he has lingering. As far as avoiding the emergency room, and having to turn back to Matt Moore, Kaepernick offered a much lower risk of that.